At just 23 years old, is there anything Kendall Jenner hasn’t accomplished in the modeling world? (Aside from landing the cover of British Vogue or becoming the face of Chanel.) Well, you’re about to see even more of last year’s highest-paid model at your local newsstand: Fresh from the cover of Vogue Italia, Kendall is now Allure‘s newest cover girl. She’s certainly no stranger to the magazine, having already appeared on two covers. 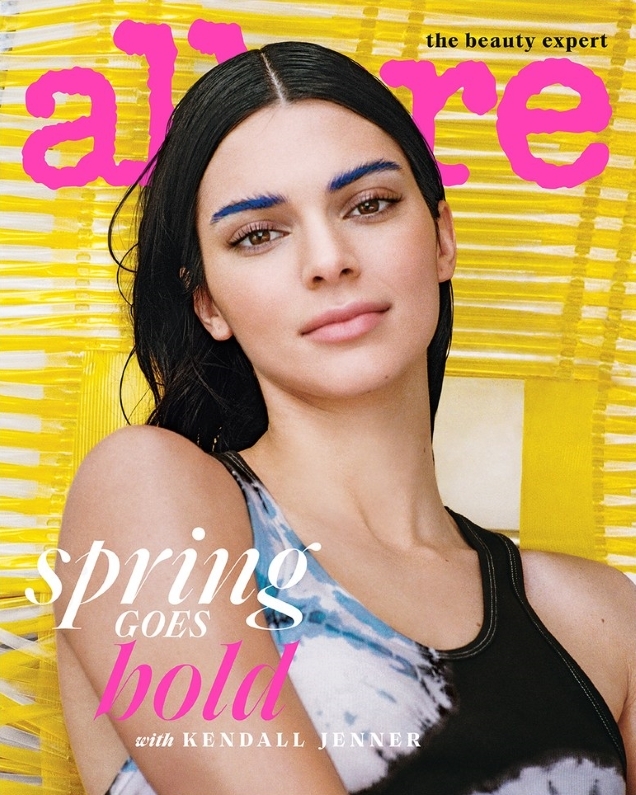 Photographed by Cass Bird and styled by Jorden Bickham in a Calvin Klein vest top, Kendall ushers in the title’s new redesign while attempting to make blue eyebrows happen. But did she succeeded? Apparently not, according to our forum members. “What the absolute hell are those eyebrows?” asked SLFC. “Look everyone I got a complete makeover! *walks in with blue eyebrows*,” mocked A.D.C. “They did a (series of) number(s) on her face on that cover (and I’m not even talking about her eyebrows),” EstefaniaAbaddon added. “This magazine’s promotion of the ‘natural look’ didn’t last long,” added tigerrouge. “The cover is not charming at all but I don’t blame Kendall for it: in this case, the fault is in the photograph and art direction,” said apple. “I’m glad she’s on the cover! The previous covers have all been really really bad!” agreed ThickGlossies. Everything BUT the eyebrows? Check out the accompanying cover shoot and join the debate here.